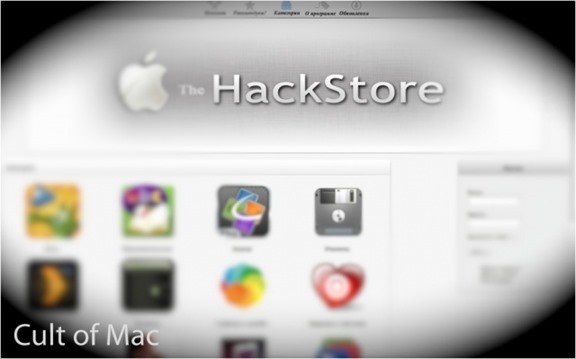 Remember those murmurings about the possibility of the Mac getting a Cydia-like store? Well, considering the amount of time that has passed with no further updates about the legitimacy of the project, it would seem that we can put that idea in the ‘nice but isn’t likely to happen’ pile. With that said, all hope should not be lost, especially if the release of the OS X HackStore in the next few months turns out to be a reality. Cydia is synonymous with jailbreaking, and has proven to be popular due to user-demand and the need for an alternative app hub other than Apple’s official App Store offering. For the average iOS device user, being able to install apps directly from Apple is fantastic and it drastically enhances the functionality of an already-powerful device. But for those among us who label themselves as “power-users”, or who just like to tinker and experiment with the possibilities of their gear, then jailbreaking and the use of Cydia has become a necessity. In the middle of last year, when the Cydia for Mac rumors started to circulate, a lot of people queried why such a platform was even necessary, considering there is no jailbreaking on the Mac. That may indeed be true, however, Apple still holds a lot of power over users and developers when it comes to OS X. When you take into account the company’s sandboxing restrictions, the need for a Cydia-eque alternative becomes clear, once again for those power-users and developers who require more control. 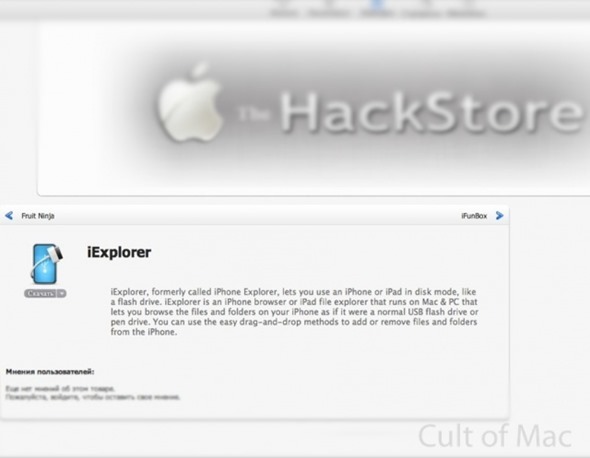 Andrey Fedotov, who is a Russian programmer based in the United States has introduced the world to what he dubs as the “HackStore” and functions like a combination of the Mac App Store and Jay Freeman’s iOS-based Cydia. Some people may still be confused by the need for such a platform, after all, developers who aren’t happy with the control that Apple has over software distributed via the Mac App Store can just make their packages available through the internet, right? The internet is one alternative solution for developers, but one benefit that the said store immediately offers disgruntled developers is discovery. The ability to list software into a curated, third-party marketplace that allows engaged users to discover packages by sorting them by genre, price, categories or even user recommendations. One of the beautiful things about the Mac and iOS App Stores is that Apple pretty much handles all of the leg work for you, something which aims to be replicated when the this store for OS X kicks off in its full glory. From the details given, it looks as though the service will function as a full-fledged, self-contained marketplace, with users being able to download content without creating an account. Account creation will be possible for developers to upload their work, which could range from a simple tweak to a full-blown app which Apple would normally reject from the Mac App Store for one reason or another. It seems that the majority of the front-end design of the store is complete, with few of the developers offering their software to be included for download when the initial launch happens. Fedotov is still working on implementing additional security and much-needed platform content, but if all goes well, we could see the release happen in the next month or so.